Benzoyl Peroxide is considered to be one if not the most effective ingredient for fighting acne due to the fact that it kills the bacteria that cause acne breakouts. Still, some people´s skin is sensitive to Benzoyl Peroxide, depending on its percentage as well as the rest of the ingredients contained in different Benzoyl Peroxide products. So, while treating acne is obviously your priority, you will need to check how your skin reacts to this ingredient by performing a patch test for 2-3 days and of course you can start with a lower percentage of Benzoyl Peroxide and move on to a higher one if you see that your skin is not sensitive to it. You should also keep in mind that when using Benzoyl Peroxide, you might get some breakouts initially but this is due to the skin adjusting to this ingredient´s function. It is also recommended that you use a good moisturizer after using a BPO product to deal with the drying effect. Here, I have chosen to review some of the best Benzoyl Peroxide Products, made by reputable companies that specialize in creating these products. My top picks include Benzoyl Peroxide Face and Body Washes, Benzoyl Peroxide Treatment Products, Medication Gels, lotions and creams with various percentages of Benzoyl Peroxide. Apart from providing you with their most important features, a look at the user reviews is also very useful in getting a fuller idea of these products´ performance. Topix Benzoyl Peroxide Wash comes in an 8 ounce bottle and contains a heavy duty 10% Benzoyl Peroxide. The wash itself is a creamy white and spreads easily on your skin. Due to the amount of Benzoyl peroxide, it is recommended that you only wash with it a couple of times a week to help prevent dryness and irritation of the skin. Users find that this product works well on both their face and back acne without leaving any chemical smell on their skin. They also do state that it helps to speed up the healing of acne and prevent future breakouts. This Benzoyl Peroxide 10% Acne Treatment body and face wash comes in an 8 ounce pump bottle and is made in the USA. According to the company, it can last up to 1 or 2 months with a normal use. It is also paraben, Phthalate, propylene glycol, SLS, paraffin, fragrance and formaldehyde free. The wash itself is thin and white with a creamy texture and is extremely easy to apply especially with the pump, allowing you to control the amount of the product that comes out of the bottle at one time. 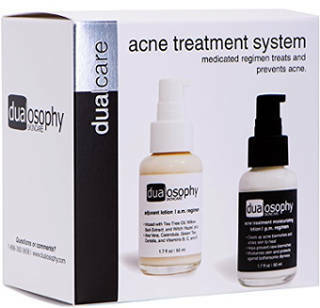 This product is recommended by the company for moderate to severe cases of acne and is not suitable for sensitive skin. They also point out that BPO can cause irritation, redness, peeling or dryness, so they suggest reducing usage to once a day or every other day and following with the application of an oil free moisturizer. Something that drew my attention was the company´s claim that they don´t use traditional Benzoyle Peroxide Particles which according to them are bigger than the skin´s pores and sit on its surface, but smaller than 10 microns particles that are pulled into the pores and start killing bacteria instantly. Users are really pleased with the effectiveness of this acne wash and state that it clears up stubborn acne well. Some people mention that it is a bit drying but this is something normal when using Benzoyle Peroxide products and since it is a 10% product, it will obviously have a more drying effect than products with a lower percentage of BPO. 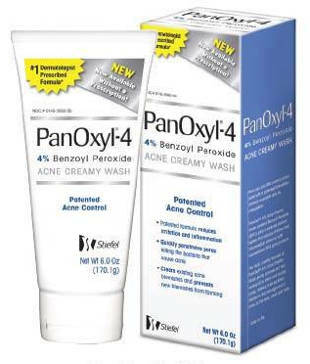 The PanOxyl-4 Acne Cream Wash contains 4% Benzoyl Peroxide which is less than half than the strongest products on the market, so it will be less irritating and drying on the skin. 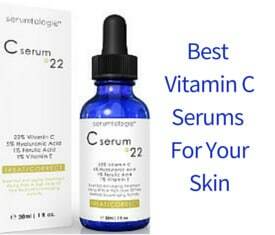 It comes in a 6 ounce tube and is recommended that you use it 2 to 3 times a week. PanOxyl is best used for people who have mild to moderate acne breakouts and users say that when used regularly, it will clear up the skin and prevent additional breakouts from occurring. Most people report that they get no irritation but users with sensitive skin still deal with some issues of irritation since 4% is still a high percentage of BPO for sensitive skin. Users also review that this product is effective for different types of blemishes including blackheads and whiteheads. Dr. Song 10% Benzoyl Peroxide Medical Acne Wash comes in an 8 ounce pump bottle and is backed up by a 100 day full money back guarantee. It is paraben free, made in the USA and not tested on animals. Users state that this wash actually feels refreshing and has a nice light floral scent that is not overpowering. This is a creamy style cleanser that is easy to apply and most users don’t feel that it is overly drying to their skin. They also like that they have fewer and smaller breakouts when using it and that it rinses off easily. This Acne.Org product is a spot treatment for acne and is actually the second step of a 3-step acne treatment recommended by this company. It comes in an 8 ounce tube and contains 2.5% Benzoyl Peroxide. It is gel based and quick absorbing. The low percentage of Benzoyl Peroxide clears up acne over time without causing a great deal of irritation like stronger solutions of Benzoyl peroxide. According to the company, it is triple milled and therefore penetrates the skin better than common BPO products, while it also goes on smooth without ¨clumping up¨ or turning white when a person perspires. Most users find that their best success with this product lies when following the directions on the Acne.Org website for acne treatment. This gel based product dries to a matte finish and it not only reduces acne breakouts but also redness and acne scars. 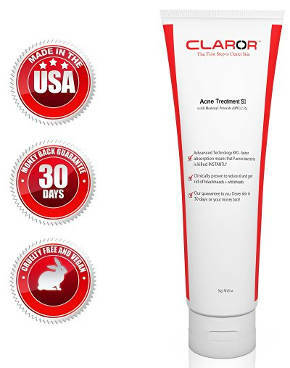 This Claror SkinCare Acne Treatment comes in an 8 ounce tube and, according to the company, it gets rid of all different types of spots. It also contains minute BPO particles that penetrate deep into the pores and kill over 99% of acne bacteria at once. This odorless acne gel can be applied on the face, chest, body and back. Apart from dealing with all types of zits, the company also recommends it for whiteheads, blackheads as well as excessive oiliness, and offers a 30 day money back guarantee. People who have used this product review that it does what is supposed to do fast while it also goes on easily and dries clearly. It is also good at preventing acne breakouts. While some people find it over drying at times, others think that it is not over drying or too harsh. The reviews are a bit mixed on this issue, I would say. Moreover, a little goes a long way and people are pleased with its price. 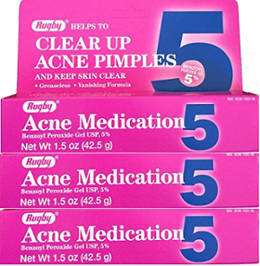 This generic Benzoyl Peroxide product by Rugby is a fast absorbing gel that comes in a set of 3 packs of 1.5 ounce tubes. It is oil free and uses a maximum strength formula containing 10% Benzoyl Peroxide. 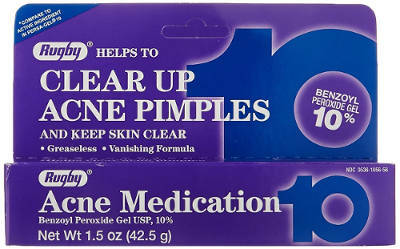 This medication helps to eliminate moderate to severe acne, and it is suggested to apply a moisturizer after use. This is a leave on treatment that works best when used on problematic areas. Reviews about this product’s effectiveness are mixed. While some people say it works well, some others are not pleased with its effectiveness. 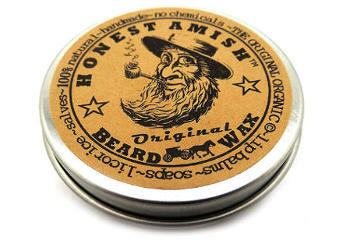 A couple of negative reviews had to do with its not pleasant smell and the fact that it turns white after application. Also, few people didn’t like the fact that it is too runny or watery. Apart from the fact that everybody agrees that its price is great, the main issue with this product is that is not so effective as people would expect to from a 10% Benzoyl Peroxide product. This treatment lotion comes in an 8 ounce pump bottle and contain 2.5% Benzoyl Peroxide. It is made in the USA, comes with a 365 day full money back guarantee and is fragrance free. According to user reviews, this treatment lotion is as effective as the big name brands that cost more. It helps to clear up acne and reduce the number of acne breakouts for a good price, with some users remaining acne free when using it regularly. While digging into users´ reviews, I found one person saying that she used this product to treat Molluscum Contagiosum, which, according to webmd.com, is a skin infection that causes small round bumps with a dimple in the center. The Mary Kay Acne treatment gel comes in a 1 ounce tube and contains 5% Benzoyl peroxide. It is oil free and makes an excellent treatment for acne. Product reviews are great with users saying that this formula not only works very well to treat their acne breakouts but also to prevent new ones. Users have also commented on how smooth it goes compared to other BPO products, loving the fact that it is not gritty and messy and does not have a bad scent. People with sensitive skin have shared a positive feedback about not irritating their skin and not being overly drying. It absorbs fairly quickly and heals the breakouts in a gentle way. A lot of people also use it as a very effective spot treatment and have been persistent buyers of this product for many years. This Oxy Benzoyl Peroxide 5% Generic comes in a set of 3 packages of 1.5 ounces each. It contains 5% Benzoyl peroxide and is meant to treat acne if you apply a thin layer of this product on your skin 1 to 3 times a day. This oil free and odorless acne treatment medication gel is designed to treat and prevent blemishes including blackheads and whiteheads. Some people state that it acts quickly shrinking pimples overnight and there are several consumers who say that they have used this product for years with great success. 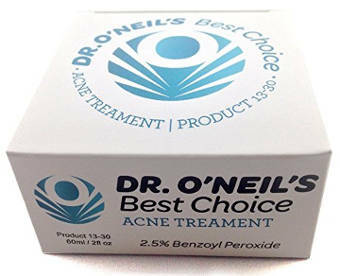 Dr. O’Neil´s Acne treatment cream comes with 2.5 % Benzoyl peroxide and contains other ingredients including retinol, tea tree oil, a number of AHA acids such as glycolic acid and lactic acid, sweet almond oil and others. Reviews about this product are somewhat mixed. While some people experience a noticeable difference with their acne, others just say that it is not effective enough, so it is somewhat difficult to have a more truthful idea of the product´s function according to people´s comments. In addition, some people use it only as a spot treatment since they find that it has a burning effect if they apply it on large areas of their skin. According to one user´s feedback, this cream has a distinct smell that resembles effervescent tablets with a smell like citrus. 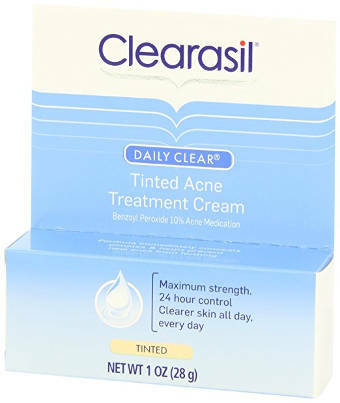 The Clearasil daily clear tinted acne treatment cream comes in a set of 3 ounce packages and contains 10% Benzoyl peroxide that offers you a 24 hour blemish control. An obvious advantage of this product is that it is tinted so it can visually cover existing blemishes while also providing a 24 hour acne control but the problem is that you can´t know whether the tint is close to your skin´s color. For example, there were some reviews of people saying that the tint is an orange color version which does not suit their fair type of skin. Positive reviews talk about people´s skin being clearer and oil free without being overly drying but one needs to really search for the specific product´s reviews since they are mixed with the reviews of other acne products this company makes. This 4% Benzoyl Peroxide and Tea Tree oil Lotion comes in a 2 ounce pump bottle with an indefinite money back guarantee. According to the company, it contains 7 ingredients and no preservatives. One of these ingredients is alcohol, which the company admits that combining it with Benzoyl Peroxide can be drying for the skin, but they say that the addition of Castor Oil mitigates the drying effect. Nevertheless, users´ reviews are very positive with people saying that this product is not overly drying and, most importantly, it works quickly and effectively. Some users find that it cleans up their acne practically over night. Overall, users like that this lotion keeps their acne under control and reduces both the blemishes and the redness that acne produces. They also describe it as a great spot treatment and say that it works well with a good moisturizer. This DualCare Acne Treatment System includes two bottles of lotion. The one with the black label is an acne treatment moisturizing lotion suitable for your p.m. regimen and contains 3% Benzoyl peroxide while the one with the white label works as an adjuvant lotion suitable for your a.m. regimen. The latter contains a lot of healthy natural skincare ingredients such as Jojoba Oil, Witch Hazel, Willow Bark Extract, organic Tea Tree Oil, Aloe Vera Juice, Calendula Extract, Niacinamide, Shea Butter and others. So, while the black label bottle is the acne treatment one, the white label bottle works as a moisturizing, healing and calming partner. Both products are free of parabens, animal derived ingredients, formaldehyte, triclosan, synthetic fragrances and more. They are made in the USA and followed by a 1 year full refund guarantee. When it comes to users´ feedback, people seem to be very pleased with this system´s effectiveness and like the way these two lotions work together. People experience quick results and find that the Benzoyl Peroxide lotion is less drying than other acne treatments creams and lotions they have used. The morning lotion fades away quite quickly and leaves their face moisturized and refreshed without being greasy. Paula’s Choice Daily Skin Clearing Treatment contains 5% Benzoyl Peroxide and comes in a 2.25 ounce container. The ingredients are non-harsh and it is recommended that you use this product twice daily to clear up your acne breakouts. 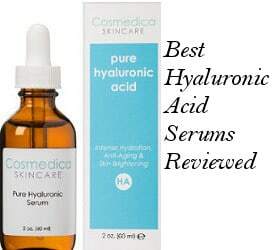 Users feel that this treatment quickly heals acne and helps to prevent further breakouts. They also say that it goes on smooth and absorbs into their skin well. Another pro that a user shared was that it mattifies the complexion and can be worn comfortably under makeup. People do not report any irritation and while some think that a rich moisturizer is needed after this product´s application, others comment that it does not dry out their skin. Overall, users are very pleased with the product´s effectiveness. Jan Marini Benzoyl Peroxide Acne Treatment Lotion contains 5% Benzoyl peroxide and comes in a 4 ounce container. According to the company, it contains emollients, which are non comedogenic and specialized for acne prone skin, and together with the highly micronized Benzoyl Peroxide, this product delivers great results with minimal irritation or dryness. It is also recommended that you start with one application per day and gradually take it up to 2 or 3 times a day if it is needed. Users find that this lotion does not dry out their skin as much as many other Benzoyl Peroxide lotions and cream do, but is still effective at fighting the bacteria that cause acne. It is also fairly thick and people state that it clears up their acne breakouts quickly. Finally, the bottle lasts very long. All in all, if you are looking for the best Benzoyl Peroxide products to help you fight acne, then one of these great products may well be the right for you and your skin. One last thing you need to keep in mind though if you don´t already know it is that all Benzoyl Peroxide products bleach the clothes, so you need to a be a bit extra careful with that.